As would any cannabis connoisseur. But, mastering cannabis nutrients can be a pain without the right guidance. And the thought of destroying our plants with the wrong stuff is enough to make your skin crawl! Today, I’ll show you what to look for in finding the best fertilizer for cannabis that will work for you. 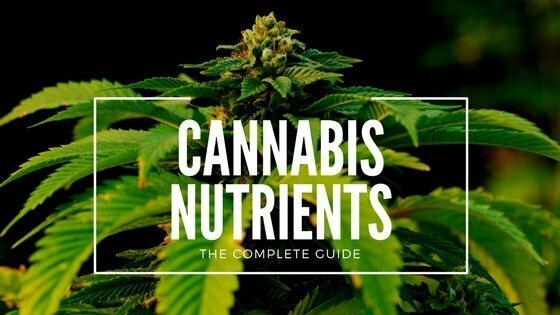 *Keep reading for full reviews and to learn all about marijuana nutriments. The best nutrients for cannabis are the same for most flowering plants—which makes things incredibly easy! All fertilizers you come across have three numbers on the back of the box or bottle that read like 2-10-2. These figures represent nitrogen, phosphate and potash. While these, “Big 3” if you will, are the most vital to any plant, they are not the only nutrients you should be aware of. Nitrogen, the middle number, is the major component of chlorophyll which is created to absorb energy from light. i.e. photosynthesis. It also plays a huge role in amino acids that help to build protein. To grow a big and healthy marijuana plant, it needs nitrogen. Nitrogen helps create healthy leaves and is the driving force behind making the plant grow. As such, cannabis plants need higher levels of nitrogen during the vegetative state. Leaves on a healthy plant are the green you see in all of those beautiful pictures. While, leaves with a nitrogen deficiency have a yellow tint to them. Phosphorus regulates protein synthesis through the complex nucleic acid structures. This process works to develop new tissue and is vital in cell division. Phosphorus helps transfer energy to where the plant needs it. If you want big buds, phosphorus is your guy. When your plants are entering the flowering stage is when you want to crank up the phosphorus. It works to bring energy to the buds, create additional flowers and a healthy root system. Keep an eye for any signs of blue-green leaves, especially towards the bottom of the plant or older leaves. Lower leaves might turn yellow and brown, and your stems will turn purple. Also, you will notice stunted growth. These are usually the tell-tale signs of a phosphorus deficiency. Potassium helps control the CO2 uptake by opening and closing the stomata during photosynthesis. It also activates growth enzymes and plays a huge role in absorbing water, nutrients and carbohydrates. Being a catalyst for carbohydrate metabolism, potassium helps lead to thick buds. You want to increase your plant's potassium during the flowering cycle if you want your flowers to develop into full and dense buds. There is more to plant fertilizer than just the Big 3, though. You have tons of micronutrients that all work in cohesion to create a bigger yield. These minor and micronutrients are essential for a healthy plant. They are just used in smaller amounts by the plant. There are three nutrients classified as minor nutrients. Calcium (Ca) – Regulates the cells and contributes to plant stability. Calcium is an important piece in the development of cell walls. Magnesium (Mg) – Another huge player in chlorophyll. Your marijuana plants need magnesium to process sunlight. Sulfur (S) – A trick to getting big yields is getting your sulfur up. Sulfur is used to form amino acids, proteins and oils. It also works to both develop and activate various vitamins and enzymes. Pro Tip: Use Epsom Salt to give your cannabis Mg and S.
manganese (Mn), boron (B), iron (Fe), molybdenum (Mo), zinc (Zn), copper (Cu), nickel (Ni) and chloride (Cl). What's the Best NPK Ratio for Cannabis? 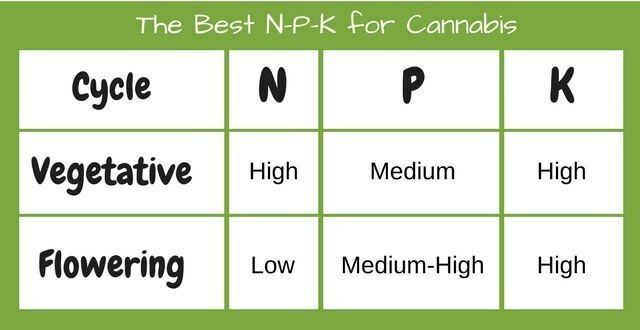 So, now that you know what N-P-K is, you can start thinking about which will be best for your plants. As I’m sure you may have noticed already, there are MAJOR differences in nutrients needed between the vegetation and flowering stages. You need to plan for this. There is no one size fits the entire life of the plant nutrient mix. During the vegetative stage, you want to go high nitrogen and phosphate. During the flowering stage, however, you want to dial back the nitrogen in favor of phosphorus. Organic fertilizers use nutrients from organic sources. This means nothing man made. Instead, they are taken from animal or vegetable waste. There are a lot of organic sediments used in marijuana gardening as well, such as gypsum and limestone. Organics are a favorite of many cannabis growers because they like the natural aspect. One of the biggest draws of marijuana, especially as a medicine, is this very fact. Them not being able to address a nutrient deficiency quickly, for example, can devastate a yield if it hits during the flowering cycle. One way to combat this is to be prepared! Plan for the slow release, and set up your soil accordingly. Is there anything science can’t do? Chemical fertilizers take various elements and synthesize or extract them until there are in a pure, highly concentrated form. 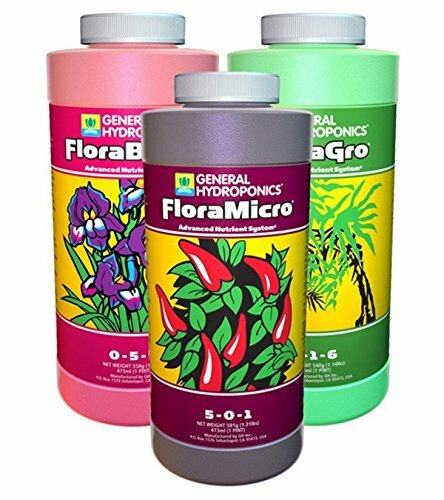 This process allows you to apply precise amounts of nutrients to your plants. You can also use chemical fertilizers no matter which medium you’re growing in soil, hydroponics or aeroponics. This makes them 10x more versatile and allows you to experiment with different growing styles without breaking the bank. But the biggest advantage without a doubt is the ability to be in perfect control of the nutrients. I mean, down to the milligram you can know EXACTLY what you’re feeding your plants. 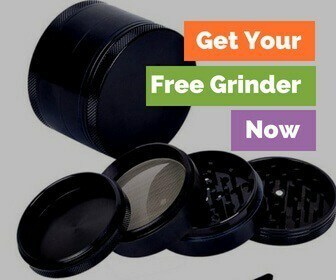 This allows you to adjust for different strains, and get the most out of a plant. So far I may have made chemical fertilizers sound like something everyone should be using. But be warned. If you’re not careful, you can do real harm with them. Because the plants don’t have to break down the nutrients, you can easily overfeed your plants. This leads to a whole myriad of issues, and can even kill your plant. Though, if not too severe, you can flush your plant and be alright. If you want your plants to take full advantages of the nutrients you're giving it, then you need to monitor your water's pH closely. There are several different methods used to test pH. Including cheap test strips that give you a general idea of the pH, and digital readers that give you accurate data. If you want your plants to produce the most bud they can, then this is one little, and easy, step that will be well worth your time. A lot of growers like to “flush” their plants. Feeding them only pure water for the last 1-2 weeks of their flowering. Some say this helps make a better tasting bud. It’s really up to you to decide when you are two weeks out from harvest, though. The schedule isn’t definitive, but it's something, that over time, you’ll develop a knack for. Also, you need to keep a look out for overfertilization. If you come across this, you’ll see brown tipped leaves. And there is nothing you can do for them. Of course, chill out on the fertilizer, and you can also flush the soil or water. But the leaves will never be healthy again. Because there are so many methods of growing cannabis, the best marijuana fertilizer is nothing but a matter of opinion. Are you growing organic or not? Are you growing in soil, water or maybe even vermiculite? There are just too many methods, and most fertilizers don’t crossover between different ways of growing. If you’re growing organically, you should look into building your own organic compost (like the one below) to use as a fertilizer. Or, you can use fertilizers such as bat guano, chicken manure and worm castings. There is also organic liquid seaweeds you can use that work great. During the flowering stage, bone meal is an excellent way to give your cannabis plants phosphorus organically. It’s when you start dealing with chemical fertilizers that things get a bit hairy. Not all fertilizers are made with the same quality and with the same amount of nutrients. A lot leave off various micro-nutrients, etc. Also, you need to know that you do not need to buy the fancy nutrients from your headshop with the bud leaf on it. And as a beginner, you want something that is straightforward and easy to use. Keep in mind, though, that when growing cannabis indoors only use half of the recommended dose and then slowly crank it up. If you go to heavy, you’ll shock the plants. And indoor plants just don’t need as much as plants grown outdoors. Probably every beginners go to marijuana nutrients. And, they take a lot of the guesswork out of the most volatile part of growing—feeding. 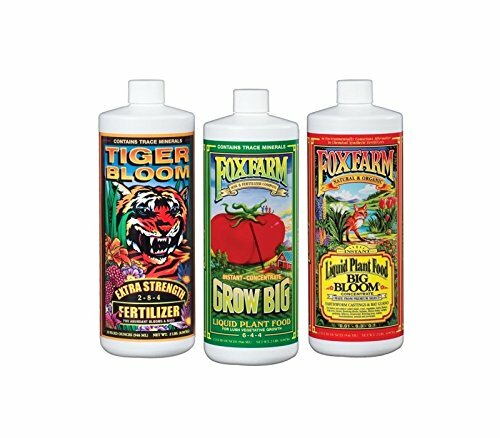 This three pack from Fox Farms gives you the nutrients you’ll need during every phase of growing. 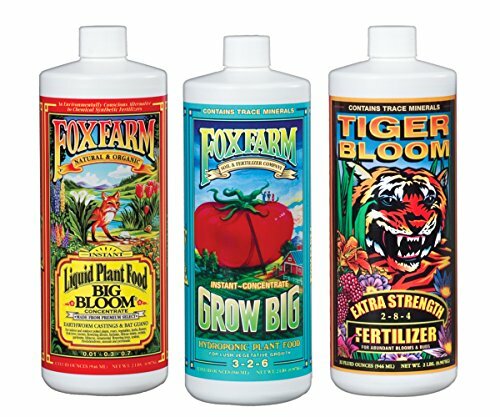 Starting off your grow with their Grow Big formula and, at the first sign of flowering, switch to their high phosphorus formula, Tiger Bloom. And use the Big Bloom formula all throughout your grow cycles to help your plants roots and increase the nutrient cycling. All of these fertilizers are fast acting, strong and safe for your plants. To use just mix the concentrated fertilizers with pH water. Like with a lot of fertilizers, the manufacturer's recommendations are a tad too strong for cannabis. I’d start with around ¼ of what they recommend and, if you feel the need, go up in small increments from there. If you do run at the strength that's recommended, you’ll be stuck with some whacky pH problems. The great thing about a set like this is you get almost all of the nutrients your plant will need. You will still want to add one of the most vital, but often overlooked marijuana nutrients—Cal-Mag. Fox Farms does you a solid by giving you a complete feeding schedule that can be downloaded here. If you started with quality soil, wait to start feeding till around weeks 3-4. Start feeding your plants once a week, or roughly every 2-3 waterings. Another big brand in the fertilizer space—General Hydroponics. With this complete nutrient set, you’ll have everything you need to grow in any soilless medium: water, coco, perlite or even fog. The set comes with three different formulas. You get the Floragro which is used to stimulate growth and build strong roots. The Florabloom formula that stimulates flower development by providing Phosphorous, Potassium, Magnesium and Sulfur. And you get the Floramicro formula that pieces everything together. Floramicro provides Nitrogen, Potassium, Calcium and all of the trace micronutrients that are vital to growing strong marijuana. All of these are in highly purified concentrates. These are great for maintaining the pH balance of your growing medium. They are also very easy to use, and you can find the feeding chart and recommended strengths here. One thing you need to know if you use this set: always use the Floramicro first. If you notice you roots looking “stained” or like they have root rot, smell your roots. As long as the smell clean, you’re golden. This is just a weird side effect of the nutrients. For best results with your cannabis, use it at half strength. Oh, and, for what it’s worth, NASA uses this stuff. With this set you’re getting all the same quality, you get from the soil set except specifically designed for hydro. There’s no change in the setup or the order you need to use them. Heck, they’re even called the same damn thing. There is no way you can talk about the best hydro fertilizers and not talk about the FoxFarm Trio, though. 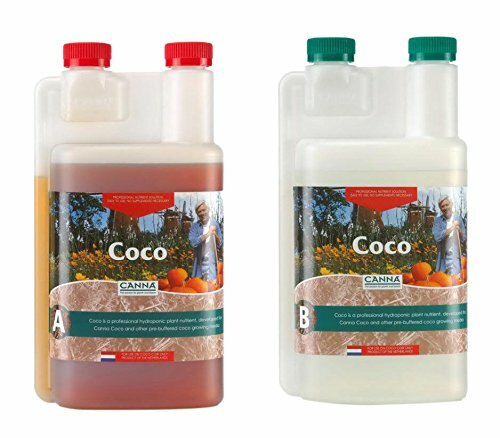 If you’re growing in Coco, you can’t get any better than the Coco series by Canna. Most of the time, I’ll tell you to avoid any “cannabis” specific fertilizers since there is no need to spend the extra money. These are just that damn good. I know growers using this that have plants that just EXPLODE. I’m talking inches a day. The set will make roughly 100 gallons of water. Which, with the retention of Coco is a crap ton. They give you a complete guide on how to use the stuff. And you can find the Canna Coco feeding schedule here. To give your plants that little extra boost you might still want to add some Cal-Mag to your Coco. The biggest flaw though is the bottle design. It’s terribly difficult to pour, and the caps are a pain to get off initially. The actual fertilizers themselves, however, are practically flawless. They are made from high-value minerals, and they contain natural chelates, humour and fulvic acids that allow optimal nutrient absorption. They also are immediately available to the plants allowing them to work quickly—your plants will love this. Also, if you stick to the exact feeding schedule (at about ½ strength) you practically don’t even have to worry about pH. These fertilizers to a great job keeping it balanced. Once you get the hang of feeding your marijuana, it’s just a matter of habit. And, theoretically at least, if you stick to a great schedule with the best marijuana fertilizers you won’t ever have to worry about nutrient deficiencies. Instead, you can just grow fat buds. What are the cannabis nutrients you use in your garden? If you still have any questions, ask away in the comments below, or you can check out this free grow bible from our friends at ilovegrowingmarijuana.coms.